New font lets anyone learn Japanese – DramaFever. “Cool design idea: Japanese characters that include their Western pronunciation, making it easy for anyone to find the Western phonetics behind Japanese words. What’s happened to typography online is pretty fantastic.” (Alistair for Hugh). On marketing’s terminal addiction to personal data fracking and bad guesswork – Doc Seals Weblog. “Since he co-wrote The Cluetrain Manifesto, Doc Searls has been thinking about advertising. 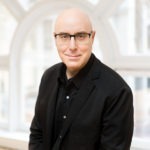 His notion of Vendor Relationship Management — the antidote to CRM, where customers give vendors permission to reach out when they’re in the market for something — was prescient, but somehow online advertising got in the way. His latest bon mot calls personalization ‘data fracking,’ and I think he’s got a point.” (Alistair for Mitch). How our housing choices make adult friendships more difficult – Vox. “How our crappy (car-based) urban/suburban planning makes it hard for adults to maintain friendships.” (Hugh for Alistair). The Light-Beam Rider – The New York Times. “Relativity is still pretty strange (forget about quantum physics). To celebrate the 100th anniversary of the General Theory of Relativity, read through Walter Isaacson‘s description of some of Einstein‘s thought experiments – it will all seem much clearer (though still weird).” (Hugh for Mitch). Facebook, Twitter and the death of the link – Fortune. “Focus on what you do best and link to the rest. This was the general thinking around online publishing for a long time. It was meant to help newspapers keep their focus, while empowering their readers to explore the Web (and, hopefully, come back). In this fascinating riff, Mathew Ingram, argues that the idea of linking is dying. No one wants to go anywhere. They want to stay where they are. This could change everything we know about publishing. Again.” (Mitch for Alistair). Harvard Law Library Readies Trove of Decisions for Digital Age – The New York Times. “Apparently, Harvard’s Law Library has the largest collection of every trial decision since colonial times. The problem, of course, is that it’s all stuck on a bunch of shelves is one geographic location. No more. ‘Harvard librarians are slicing off the spines of all but the rarest volumes and feeding some 40 million pages through a high-speed scanner. They are taking this once unthinkable step to create a complete, searchable database of American case law that will be offered free on the Internet, allowing instant retrieval of vital records that usually must be paid for.’ Kill those scared cows, right?” (Mitch for Hugh).